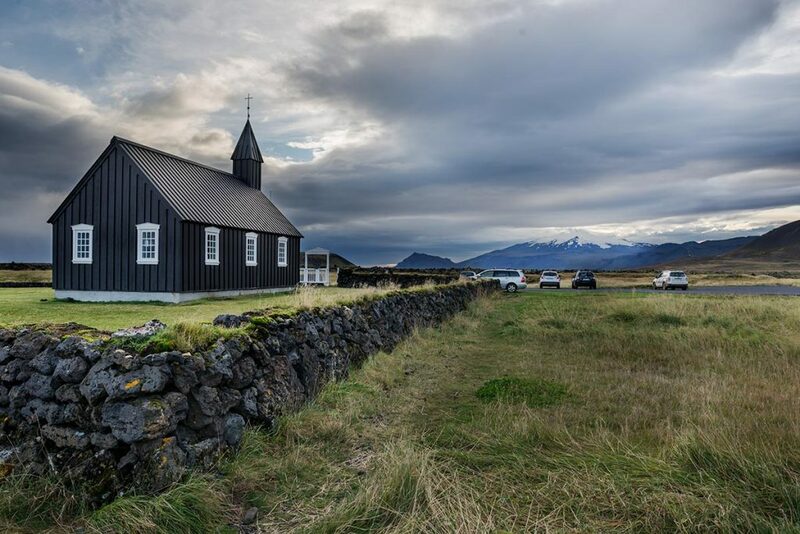 Búðakirkja church (together with Hofskirkja) is certainly the most photographed church in Iceland. Its black color in contrast with hazy air and Snæfellsjökull glacier as a background makes it so popular. Búðakirkja stands out at the south coast of the Snæfellsnes peninsula where the road nr. 54 diverts from the sea into the mountains. Just turn off it here (GPS: 64.838909, -23.402820). After about 500 meters turn left and continue for another 2 kilometers, there you´ll find the church. 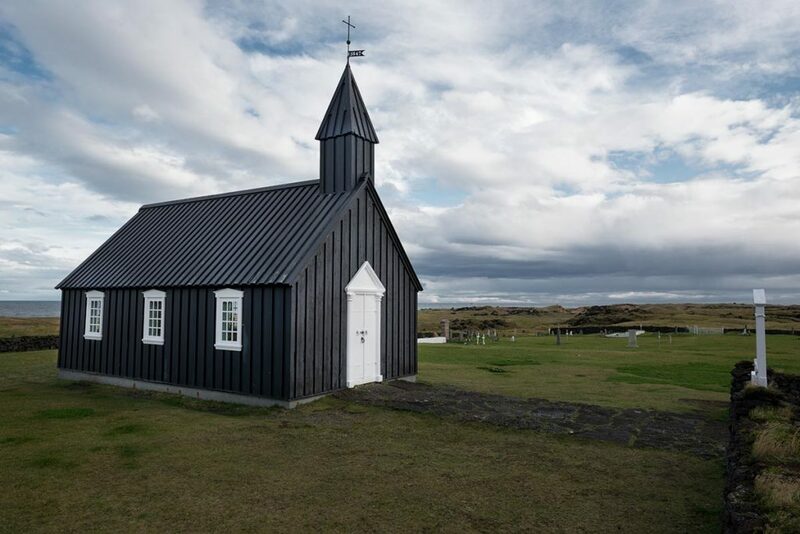 GPS coordinates of the Búðakirkja church: 64.821697, -23.384234 Take me there!